Most notable in the 2018 Dodge Challenger is the new street legal dragster version, the Challenger SRT Demon. The SRT Demon has features of a typical race car like a high octane mode, a charge air cooler and a trans brake device that maximize its launch off the line. Another new feature is the wide body kit available on the SRT Hellcat model. The wide body offers an enhanced look as well as an improved grip. A refreshing addition to all models in 2018 is the rear view camera. For the 2018 Challenger R/T model, you will notice the new Brembo brakes. In 2018 Challenger models with the 5.7-liter HEMI V8 engine, there is a new performance handling package that maximizes braking and cornering. For the Challenger GT model, 19-inch wheels are now an option to pair with the AWD system. Nappa Leather and microsuede sports seats are now equipped with the SXT Plus and RT Plus trims. Lastly, if you like bold colors for your 2018 Challenger, you will love the F8 Green, Indigo Blue, Plum Crazy and B5 blue colors. In all, there are more than ten variations of the 2018 Dodge Challenger including all trims. That being said, you will surely want to test drive a variety of trims before deciding on your absolute favorite. Come by Bosak CDJR to see all the awesome colors offered on the 2018 Dodge Challenger. Employees at Bosak CDJR are dedicated to providing the highest level customer service while keeping your needs and requests as a top priority. They strive to exceed a customer’s expectations of the car-buying process. 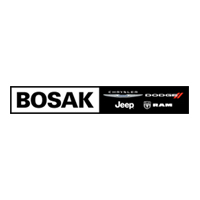 Stop by or contact Bosak CDJR to set up a test drive of a 2018 Dodge Challenger or any new or used car. Take a look at our updated inventory.